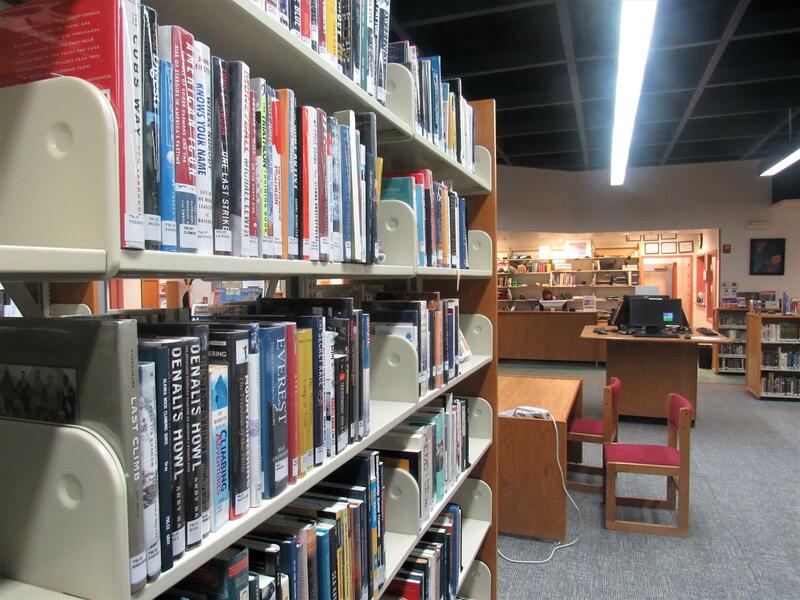 This week, the architects designing Unalaska's library renovation will be in town for another round of public planning meetings and a presentation at City Hall. For more information, check out the schedule at the end of this story. Quiet areas. Comfy seats. A coffee shop. These are just a few of the things Unalaskans want from the city's upcoming library renovation, according to survey results released last month. Librarian Karen Kresh said 174 people responded to the online questionnaire, which was designed to add data and detail to ongoing discussions about how to improve the 20-year-old building. "The most important takeaway for me — and I think the architects are on the same page — is that quiet spaces are very important to people in the community," said Kresh. "And then almost equally important are social spaces." On a scale of one to ten, the average survey respondent ranked the importance of "very quiet" spaces as an eight. The presence of "more social" spaces received an average ranking of seven. "So as we move forward with the design, we'll have to find a building plan that balances those two demands," said Kresh. "They're kind of on opposite sides of a space spectrum. But they're both very, very important to people, so we'll have to find a design that accommodates both of those community needs." It's still unclear if the final design will include a coffee shop. Sixty-two percent of survey respondents want space for a private business to sell tea and coffee, and 64 percent want an area to eat their own snacks. But Kresh said the issues of food and drink are still pretty divisive. "Some people are very enthusiastic about it, and some people are very opposed to it," she said. "So it was good to get some numbers behind: How many people really want this? And is this something we should look at?" Kresh said architects will continue looking at those options. The same goes for self-checkout stands, which she said earned a surprising amount of community support. "Whenever we've asked about self-checkout in public meetings, and staff meetings too, it's always been like, 'No, I don't think we need that,'" she said. "But of the survey respondents, only 20 percent of people said they would 'never' use it." By contrast, 49 percent of respondents said they would use self-checkout "often," and 31 percent said they'd use it "occasionally." "The benefit of a survey like this, especially with the good turnout we got, is that you get the silent majority voice," said Kresh. "If people are not coming to the meetings, or if they're coming to the meetings and not speaking up for whatever reason, they can be heard in a forum like this. "That doesn't necessarily mean that we will include self-checkout," she continued. "But I think it's something that we probably want to give ourselves the flexibility to provide down the road." Unalaskans should know soon how much space — and money — the library will have to address all the options under consideration. This week, architects are on-island for another round of public planning meetings and a presentation at City Hall. "The main goal for this visit is to understand, from the community and from City Council, whether we should pursue a larger building footprint that has space for a larger event or community gathering space — or if we should stick with the original plan with the smaller square footage," said Kresh. Monday, Feb. 11, 6:30-7:30 p.m.: This meeting has been canceled after architects' flight to Unalaska was canceled. Wednesday, Feb. 13, 5-6 p.m.: Open house to share updated concept drawings and discuss progress made during the visit. 6-7 p.m.: Presentation by the architects. Thursday, Feb. 14, 10-11 a.m.: Story Time visit to discuss renovation ideas for the children's room.